Free Domestic Shipping on all of our photo paper prints! 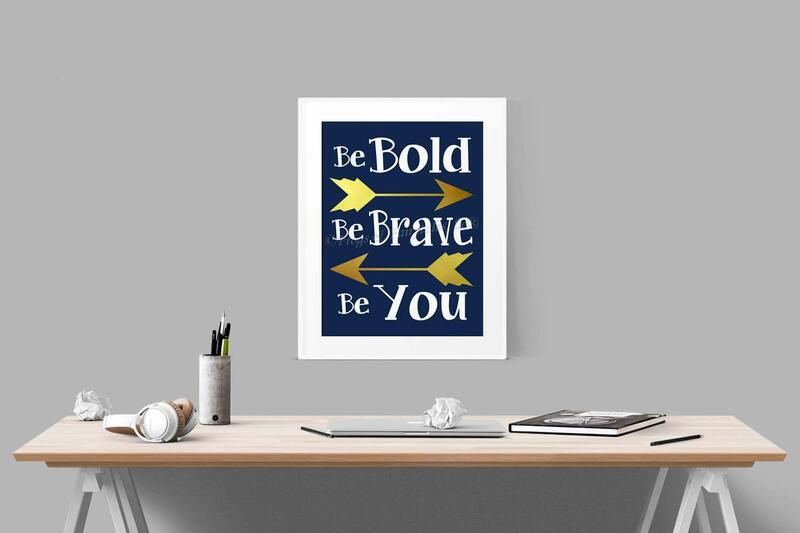 Be Bold Be Brave Be You with arrows. 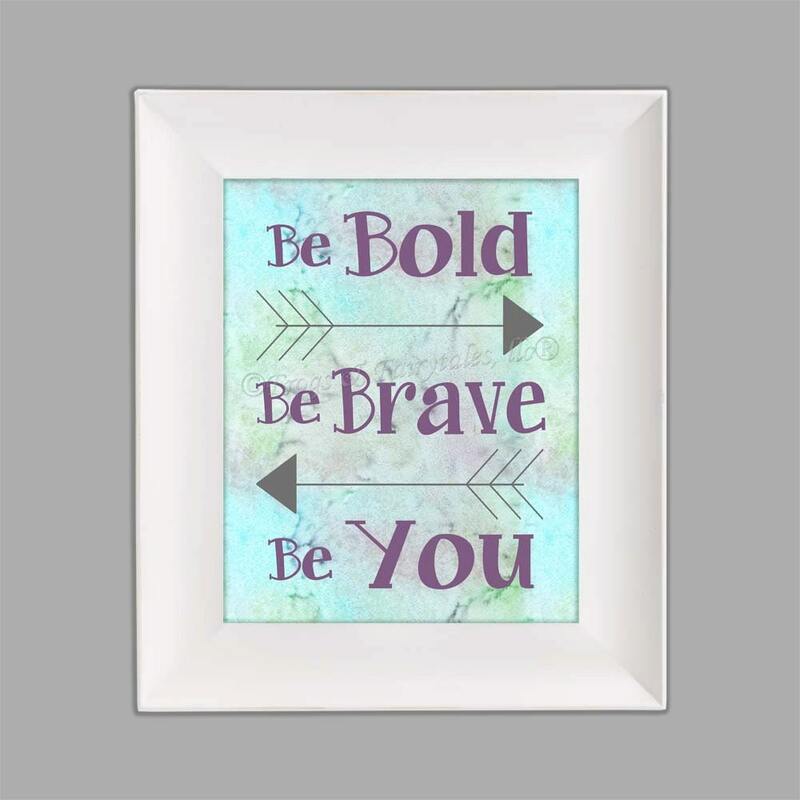 This paper print would be great in any child or teen's room! Choose from 4 different sizes using the drop down menu. 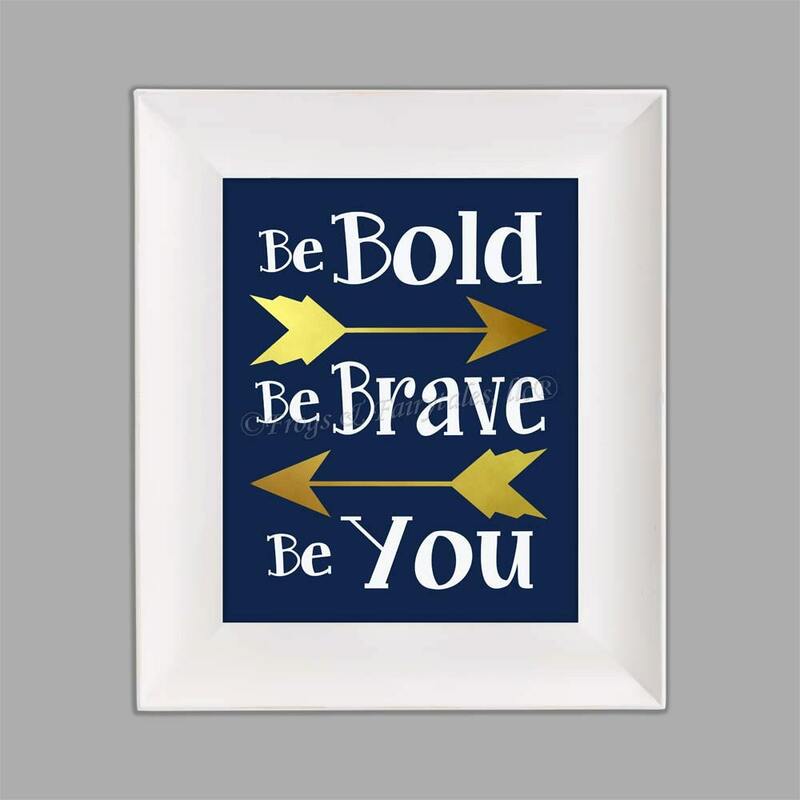 You can choose the navy and gold color scheme shown in pictures 1 & 2, the watercolor effect with purple type and grey arrows as seen in pictures 3 & 4, or choose custom colors from the drop down menu to have it printed in any other color scheme you'd like! If you choose custom colors, please leave your color requests in the note to seller section of your invoice. We will message you with a proof to approve before printing. Frame not included. Watermark will not appear on your actual print. 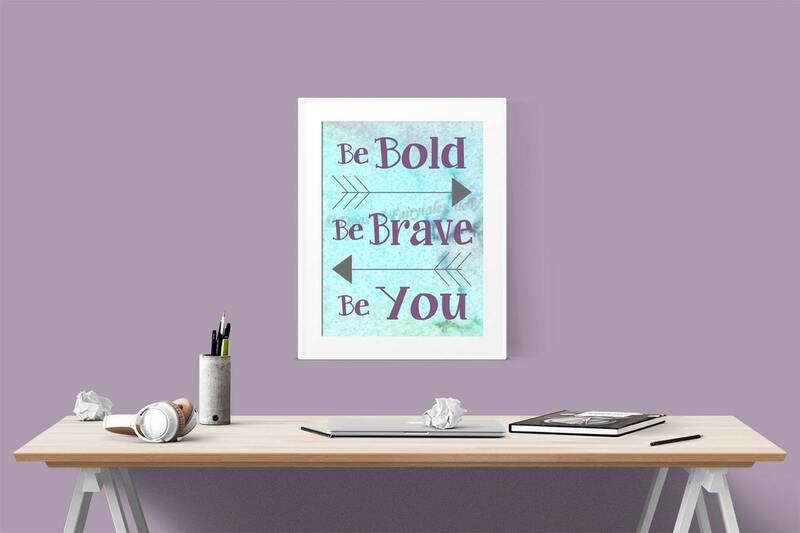 This wall art print is printed on thick, archival, Epson Premium Luster Photo Paper with fade resistant inks. It is packaged in a clear cellophane resealable bag with a piece of cardboard to keep it from bending. *If you would like something shipped outside of the US or Canada, please send me a message before ordering with the shipping address, and I will quote you a shipping price.